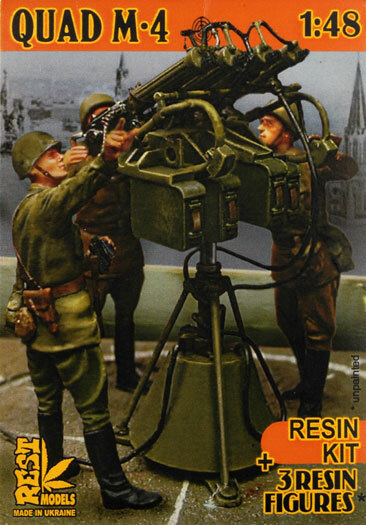 The Soviet M4 Quad Maxim Anti Aircraft Machine Gun was first developed in 1931 and by 1938 was the standard light Anti Aircraft weapon used by the Soviets. I was mounted on almost anything from ships and trucks to static positions on the top of buildings. Every so often, a review piece comes along that takes your breath away. This is such a piece. The casting on all of the pieces is perfect with no visible porosity in evidence. To add to that, there are no casting blocks …that’s right none! I have never seen such fine resin pieces cast so well before. The kit comes complete with no less than eight pages of instructions, the only draw-back being that most of it is written in Russian. The painting guide, however, is in colour and is full- proof. The three resin figures are provided are some of the best Resin 1/48 scale figures I have seen thus far. 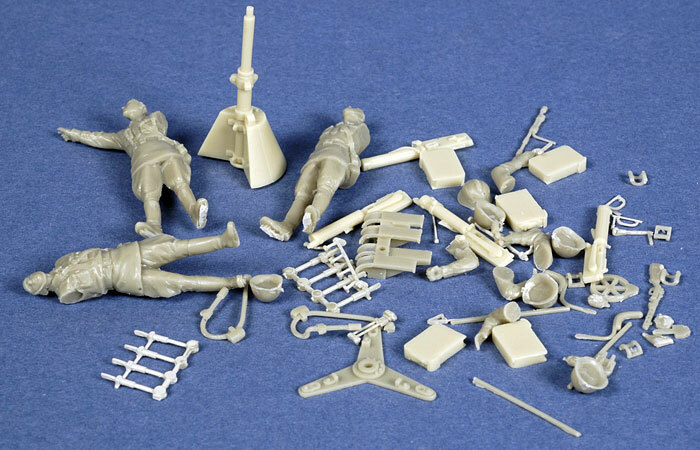 They are of appropriate height and bulk for thus scale, and come complete with both early and late style helmets. 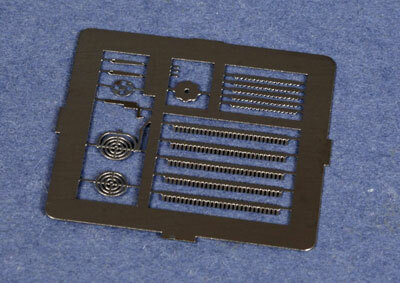 A small etch set provides the machine gun aiming sites and machine gun belts. 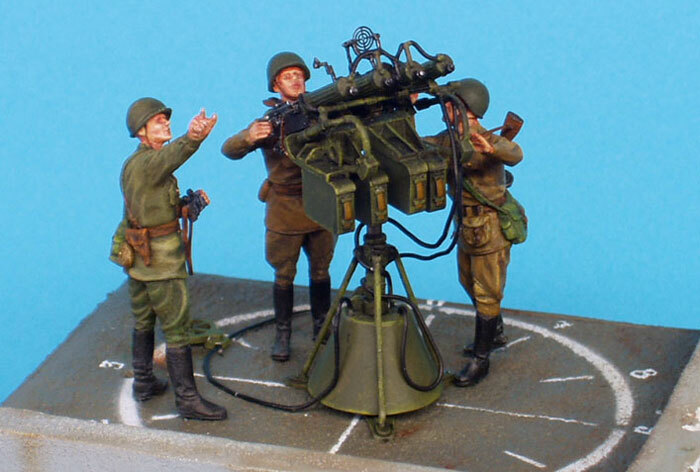 In summary, this is a very impressive model featuring detail that would not be out of place in a 1/16 scale kit. 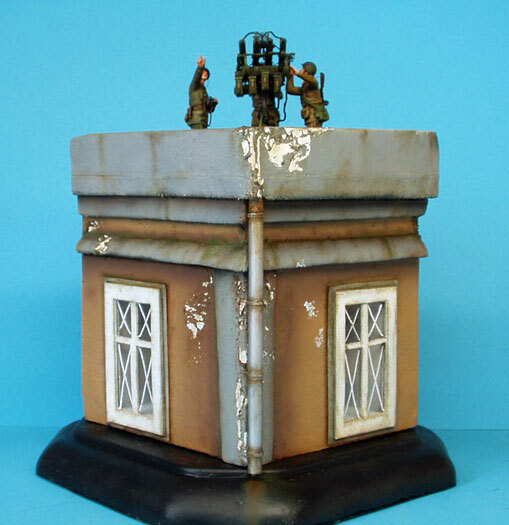 This is one of those pieces that would add interest to any diorama or set piece model and is highly recommended. 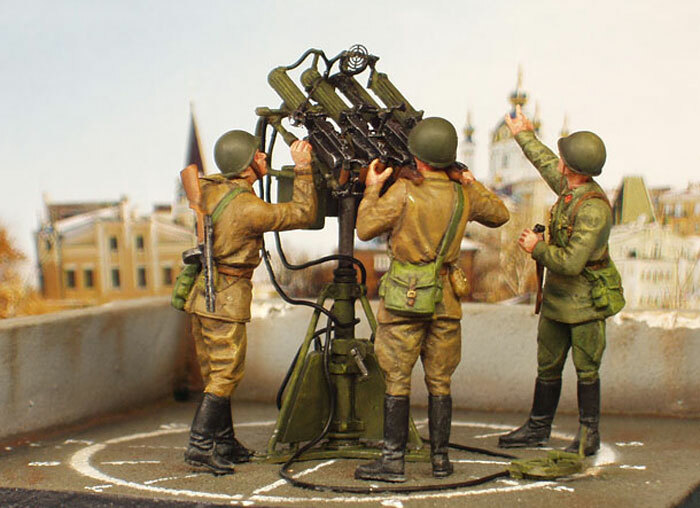 The images below are from the Diorama.RU website. Follow this link to see more.